We strongly recommend the purchase of Trip Protection Insurance. Mother Nature has proven to be a bit unpredictable over the past few years and unexpected major weather events have totally disrupted travel plans for many people. Hurricanes, tornadoes, flooding can impact your trip at a moments notice. Unexpected illnesses or deaths can change your plans quite unexpectedly. For those who are not insured, it can be a total financial loss. You can avoid that situation by purchasing insurance to cover the cost of your trip. It is a small investment. Trip Protection Insurance is based on your age and the cost of the trip. Different policy levels are available so you can choose the one that is right for you. 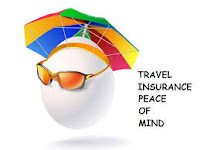 We also recommend Travel Guard Trip Protection Insurance, one of the most solid and reliable providers in the market. Click the image below to price and purchase your insurance and have the peace of mind knowing you are covered for any unexpected occurrence or illness that might occur. Click the icon below to purchase your insurance. For your insurance to cover a pre-existing condition, you must purchase it within15 days from the date of your deposit. Pre-existing condition is defined as: "Travel Guard will not pay for any loss or expense incurred as the result of an injury, sickness or other condition (excluding and condition from which death ensures) of an Insured, traveling companion, business partner or family member which within the 180th day period immediately preceding and including the insured's coverage effective date: (a) first manifested itself, worsened, became acute or had symptoms which would have prompted a reasonable person to seek diagnosis, care or treatment; (b) for which care or treatment was given or recommended by a physician; (c) required taking prescriptions drugs or medicines, unless the condition for which the drugs or medicines are taken remains controlled without any change in the required prescription drugs or medicines. Is it worth it to buy trip insurance? Two rules of thumb: 1.Travel insurance is worth it when you're traveling abroad and your health insurance doesn't cover emergencies outside of your country (Medicare does not cover you outside the continental United States.) 2. When a large portion of your trip is non-refundable or has progressive cancellation penalties and losing out on the cost of your trip would seriously set you back. Simply ask yourself if you are okay losing the amount of your trip cost if something happens. If the answer is no, then you should probably buy the insurance. To demonstrate the importance of purchasing travel insurance, and emergency travel services, here are 10 common examples of what could go wrong. It's 10 p.m. and you and your immediate family arrive at the airport for a connecting flight, only to find that your flight has been cancelled. Who can assist you with finding new flights to get everyone home? T Click on the logo below to get a price and purchase your policy. All Rights Reserved. Corporate Events and Leisure Services LLC. Travel theme. Theme images by kickers. Powered by Blogger.